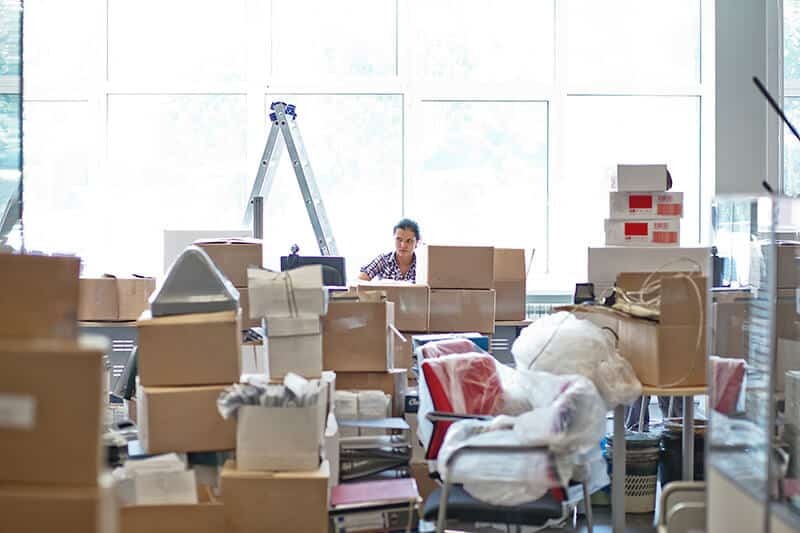 Whether your office is expanding or too small for your current needs, you may be committing to a business relocation in the very near future. If so, you will need the services of experienced Washington, DC movers, like Suburban Solutions. Executing this move will likely involve a substantial monetary investment which means reducing the downtime during this mission will be a priority. Although an office relocation is considerably more challenging than a residential move, it can be a smooth, cost efficient process when you seek the professional assistance of Washington, DC movers. The following tips are brought to you by Suburban Solutions’ very own team of professional movers. By taking them into consideration, you can make your move as seamless as possible, and in as little time as necessary. Donate any office equipment that you will not need. More than likely your office contains outdated phones, printers, computers, furniture, and supplies that you no longer use. There is no point in moving these items if you won’t use them. Consider donating them to a registered charity, and receive a tax break for doing so. You can also make use of our junk removal services. Washington, DC movers will clear these items out and recycle or donate them for you. Don’t pack things at the last minute. If professional Washington, DC movers are not packing for you, start packing items you won’t need as early as possible. Packing an office can take several days; more likely weeks. You’ll also want to take an inventory of the items you pack, and make a note of where everything is at to avoid confusion during the day. Schedule a moving company well in advance. If you’re going to take advantage of an office moving company, make sure to schedule their services at least 6 weeks in advance. You should also confirm that they have insurance. Label your boxes. It will help to label your boxes with numbers or colors on the top and sides. This system will help your Washington, DC movers to locate items efficiently and with ease. Pack computer cables separately. If your office has multiple computer systems, it will be a good idea to remove all the cables at the same time. Place the cables in bags with labels that identify the computer in which they go to. Wrap your computers and equipment. Monitors, computers, keyboards, and accessories should be carefully wrapped in moving blankets or bubble wrap. They should not be placed into a box without any padding. If you are able to “park” the hard drives of the computer, you might want to do so. This could offer enhanced protection against data losses. If you’re concerned about damage to the hard drives while moving, you could consider uploading everything to a secure cloud. Cartridges of printers should be removed before printers are packed. The lids of scanners and copiers should be gently taped down. You should follow the moving instructions of any other equipment so as not to void your warranty. Remember even the best office moving plans can fall short. No matter how much you plan your office move in advance, unforeseeable hurdles can happen. Make sure to factor in extra downtime to compensate for this obstacles. Whether you are moving a one room office or an entire building, the Washington, DC movers at Suburban Solutions can utilize their utmost skill and experience to make your transition as stress free as possible. Call Suburban Solutions today for a free quote.